​The simple truth is, most people waste money in all areas of their life. But the real truth is, most people don't know where to start to optimize their spending. This free money management tool allows you to connect your accounts and see your net worth, spending, transactions, and investments. 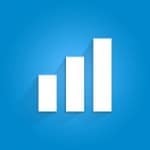 We use it, and recommend it for anyone who invests because of it's great portfolio tracking features. This free money management tool is designed for budgeting and cash flow management as well as net worth tracking and other great features. It also allows you to connect all your accounts, monitor your spending, but isn't as robust when it comes to investment management. Everyone needs a free checking and savings account. You should be doing the majority of your banking from your free checking account, and then using your free savings account to earn interest on your short term savings. Consider your savings account a short term investment. We have two favorites for free checking. And I'm talking about truly free checking - free online banking, no fees, free ATM withdraws, etc. Check out our full list of the best free checking accounts here. 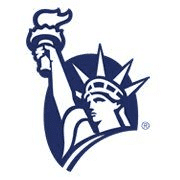 We love USAA because they offer a truly free checking solution. It's what we use, and it's what we recommend. They have a great app and mobile banking, and no fees. ​Sign up for a USAA Checking Account here. 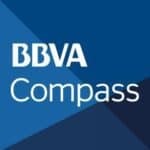 ​BBVA is a new-comer for free checking, but we love that they offer truly free checking, no ATM fees, free mobile banking, and more with just a $25 minimum. Sign up for a BBVA Checking Account here. We consider these some of the best savings accounts because they offer some of the highest yields (i.e. 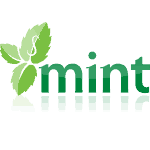 interest on your money), while charging no monthly fees. We also have a list of the best high yield savings accounts here. If you are looking to earn more interest, and are okay with "locking" up your money for a period of time, consider a Certificate of Deposit, or CD. Credit cards are both great and horrible. They are great if used properly – they help build credit and provide rewards. They are horrible if you abuse them and get yourself into debt. So, if you're planning on using your credit card responsibly, you can use them to save money and earn rewards.​ Here are our favorite credit cards for each scenario. If you're a student, you might not have great credit yet, or you might simply have a limited credit history. Check out this article for the full list of the best credit cards for students. Debt is one of the most expensive things ​in most people's lives. Here is our top strategies to get out of debt, and our top tools to use. I'm always surprised by how little people know about their debt. If you have Federal student loan debt, you can find your debt at the National Student Loan Data System. If you have private student loans, you can check your credit report for free (once a year) at AnnualCreditReport.com. On the report, you can see all your debts listed - Federal loans, private loans, credit card debt, and more. Once you know your debt and get organized, you can start to take action. There are a couple steps you can take to lower your debt payments. Specifically, for Federal student loans, you can change your repayment plan. We break down the steps to lower your student loan payment here: 5 Ways To Lower Your Student Loan Payment. For private loans or PLUS loans, you can potentially lower your payments by refinancing the debt. We break it down here, but you can check in 2 minutes or less to see if refinancing makes sense at Credible. Without doing a credit check, you can see what potential rates you'd qualify for, and see if it makes sense to proceed. As a bonus, College Investor readers can get up to a $1,000 bonus for refinancing with Credible! For credit cards, there are two main options. First, you could look at getting a 0% balance transfer credit card and using the time at 0% to pay down as much debt as possible. This works well if you have less than about $5,000 in debt, and can pay it off before the 0% expires. We compare the best balance transfer credit cards here. A second option would be to get a personal loan that you could use to consolidate and pay off the high interest credit card debt. Paying off debt is one of the best uses of a personal loan. Credible also has a great personal loan comparison tool here. Auto insurance prices change all the time. Use this quick comparison tool and see if you can save. Check out our list of the cheapest places to get car insurance here. If you rent an apartment, live in the dorms, or even share a room, you need to have renters insurance. This protects your stuff should anything happen - and it's really cheap! Learn more about why college students need renters insurance. Allstate offers renters insurance for as low as $4 per month. 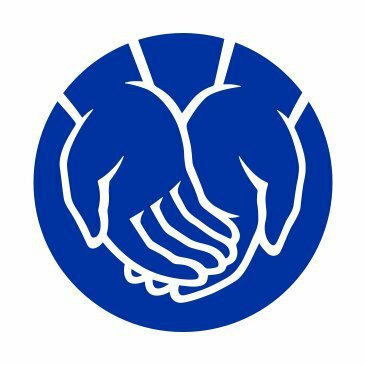 Allstate also offers other insurance options like auto, which could potentially lower your renters insurance bill to essentially free. Get a free quote online here. Another key piece of insurance most people need is life insurance. This is especially true if you have a family and are burdened with student loan debt. We recommend shopping around for life insurance. The cool thing is that technology is making it easier than ever before. Check out our list of the best online term life insurance companies and get quotes in minutes! If you're a homeowner, your mortgage is probably your largest expense each month. And while a portion of that is going to build equity, unless you're at the end of your loan term, a larger chunk of money is going towards interest each month. One of the best things you can do to save money on your mortgage is refinance. We break down if it makes sense to refinance your home here, but one of the biggest driving factors is simply the interest rate. If you can save on your interest rate, it usually makes sense to refinance.